Down 25lbs! I will never look back! 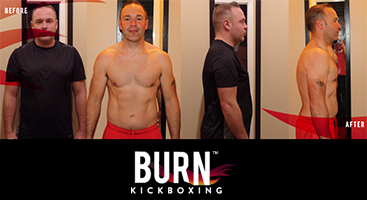 When I started with Burn I was in a terrible place, both physically and mentally. It only took a few classes to realize I had made a decision that would change my life. I quickly realized it’s not just about what you lose. Inches off my waist, body fat, and pounds were shed fast! But more about what I gained. I found strength, focus, endurance, and lifelong friendships that have brought me to the happiest and healthiest I have EVER felt and I will never look back! Down 17LBS! What I Didn’t realize is what I would gain. 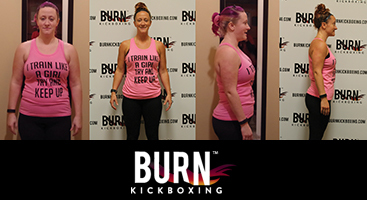 I started at Burn 2 months after having my third child, my main reason being to lose the baby weight. In just one year, I lost 17 lbs and 8% body fat. When I saw those numbers I was blown away. What I didn’t realize is what I would gain. Amazing friendships, strength and courage within myself, and a family of trainers that always push me to want more! DOWN 15lbs! EVERYONE ENCOURAGES ME TO BE THE BEST THAT I CAN BE. 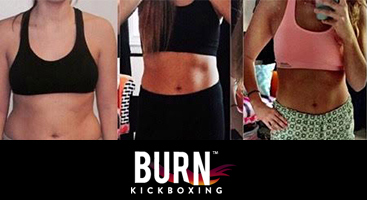 Since joining Burn a little over a year ago, I feel so much better both physically and mentally. I absolutely love the instructors and have made some great friends. Everyone encourages me to be the best that I can be. I look forward to each and every class and the challenges it brings! I’m down 85 pounds and I’m still shrinking! 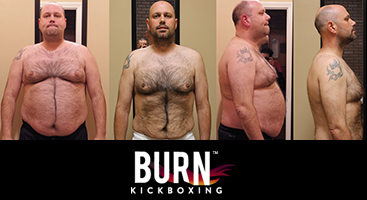 I LOVE this, I’m down 30 pounds in just 90 Days! The atmosphere here is addicting, and the program is top notch! I have lost pounds and inches, AND gained muscle! Definitely never thought I’d post this but why not everyone goes through it. This past winter I was the heaviest I have EVER been, not working out and eating twinkies every day like it was my second job lol. BUT being someone who usually weighed 130lbs my whole life and active/into sports I wasn’t happy with how my body was so I decided to make a change, fast! 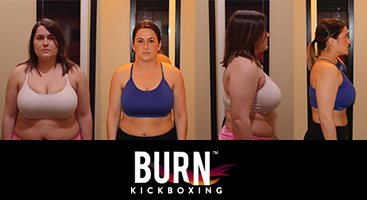 I started the 90 day fitness challenge at Burn Kickboxing and yesterday marked the last day of class (even tho I signed up for more)… I knew I was losing weight, as everyone I saw told me I looked thinner but I never realized it until they sent me my before pictures today and HOLY @!#$! Still not to where I usually am, but I’ll get there! I’m down 10 points, I lost a whole bunch of Body Fat, and if you’re not a believer… I hope this is Proof! These instructors are amazing and I’m honestly so addicted. Thank you guys for getting me back into beach body shape and can’t wait to see what the rest of the year has in store! !